How is summer almost over?! And let's face it, we all know what the end of summer means ... back to school! Between new supplies, new activities and new clothes, especially for multiple kids, the back-to-school budget can run out faster than this summer has flown by. But with a little creativity and some help from Aleene's, you can at least save some of your budget for extra books! 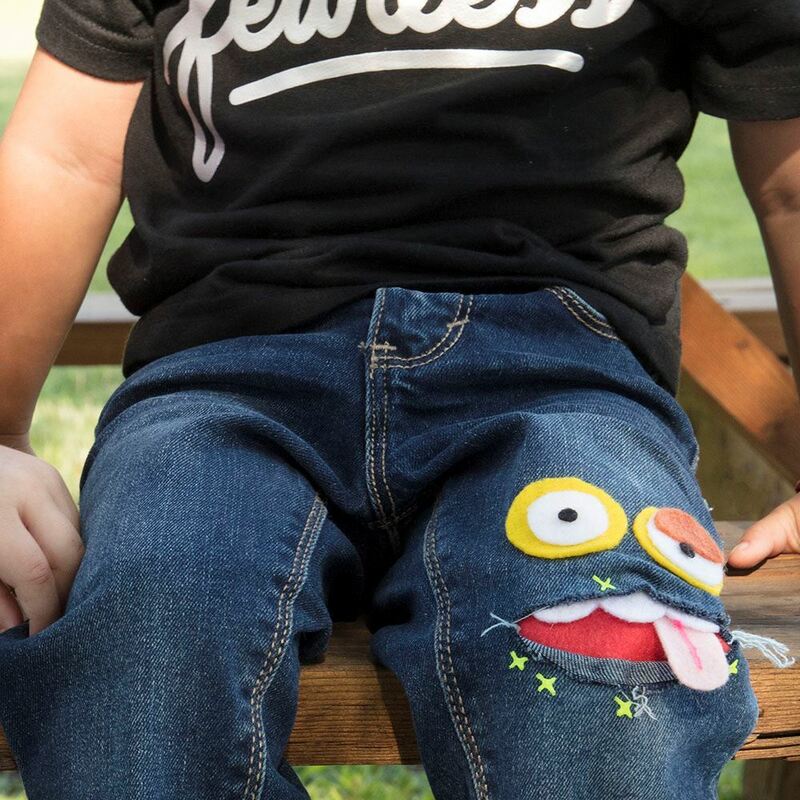 Made with felt and Aleene's Super Fabric Adhesive, these DIY Monster Knee Patches are the perfect way to mend wear and tear on clothing that still fits, AND add some adorable charm, making last year's styles like new again. First cut a piece of felt large enough to completely fit behind the clothing tear and create a secure patch. This piece of felt will be the inside of the monster's mouth. Turn the clothing item inside out, outline the felt patch with Super Fabric Adhesive and press glue side down onto the clothing. Tip: You can use sewing pins to hold the patch in place until it dries. Once the backing felt has dried, turn the clothing right side out and glue facial features around the mouth to your liking. 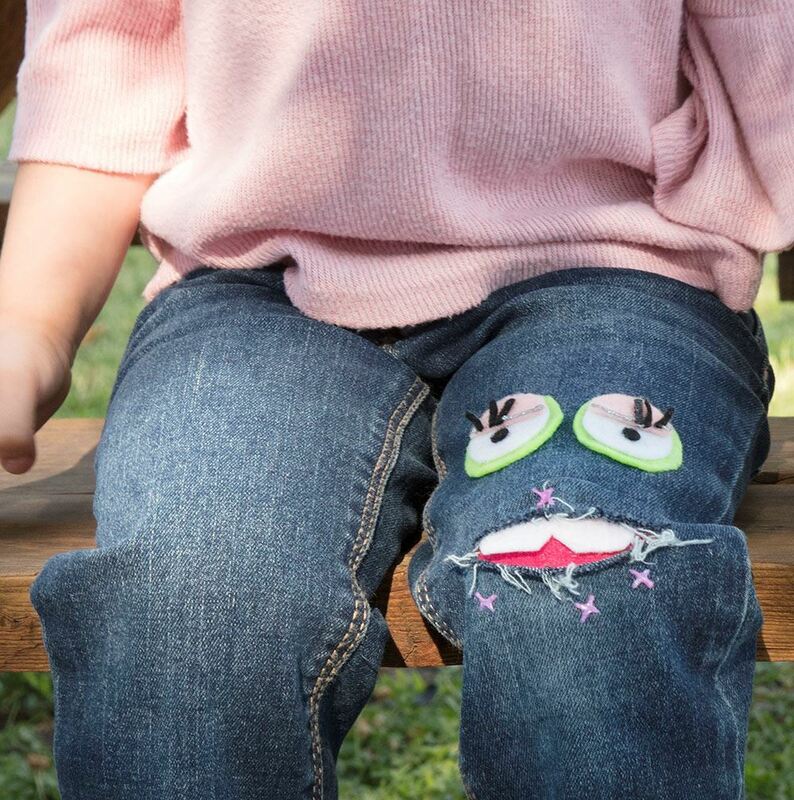 Use Dimensional Fabric Paints to embellish with fun 3D details, like stitching or additional facial features. Let dry completely before wearing. Don't just stick to monsters! Have fun trying other trendy themes, like emojis, unicorns, flowers and more!